From uneven skin tone and texture, to fine lines, there are many treatments and products available that claim to treat the signs of aging. Although you may see superficial or short term results from a great skincare product, you will find proven, long term results come from a series of medical treatments such as Chemical Peels, Photorejuvenation IPL, or 1540 Fractional Laser Treatment. Fall and winter are the best times of year to start a treatment series, as many treatments targeting skin tone or texture require avoiding the sun exposure post treatment. So, with all of the treatment options available, how do you know which treatment will best target your skincare concern? 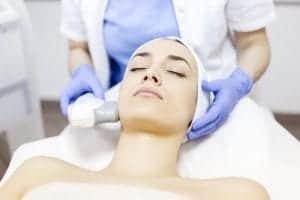 Chemical Peels helps to remove dead skin cells, exfoliating the skin. The results are brighter skin with reduced appearance of discoloration. Chemical peels are best performed in a series of treatments 4-6 weeks apart. Peels require minimal downtime and leave you with more radiant skin just one week post treatment. 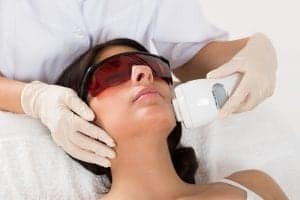 Photorejuvenation IPL is the gold standard in treatment for reversing red and brown color in skin with minimal down time using intense pulse light (IPL.) On average, you can expect approximately 10-20% reduction in red and brown with each treatment. For best results, as series of 3-5 treatments are recommended. Post treatment, you may have mild redness, darkening of brown spots (which will eventually slough off) or mild swelling, this should subside about one week to 10 days post treatment. Dr. McIntosh’s office uses the Palomar 1540 Laser, known in the industry for being one of the most powerful and effective machines. The Palomar 1540 utilizes a non-ablative erbium laser to stimulate collagen and create a more even tone and texture to the skin. The laser targets damaged tissue and destroys it allowing your body’s natural healing process to create new, healthy tissue. This results in the smoothing of scarring, lines & wrinkles, decreased pore size and overall skin tightening. For best results, 3-5 of 1540 Fractional Laser Treatments are recommended. Post treatment you can expect to see redness and swelling, which will subside in 3-5 days. The redness may then be replaced with bronzing and darkening of brown spots that will gradually resolve over 1-2 weeks on the face.